One of the world’s most enduring automotive brands, the Mini has been in production since 1959, and now it will get its latest version. In Oxford plant, followed up with a party in London, the new Mini will be revealed on 107 birthday of the iconic car’s creator, Sir Alec Issigonis. After this presentation, the Mini will head abroad to Los Angles and Tokyo for its first motor show appearances. 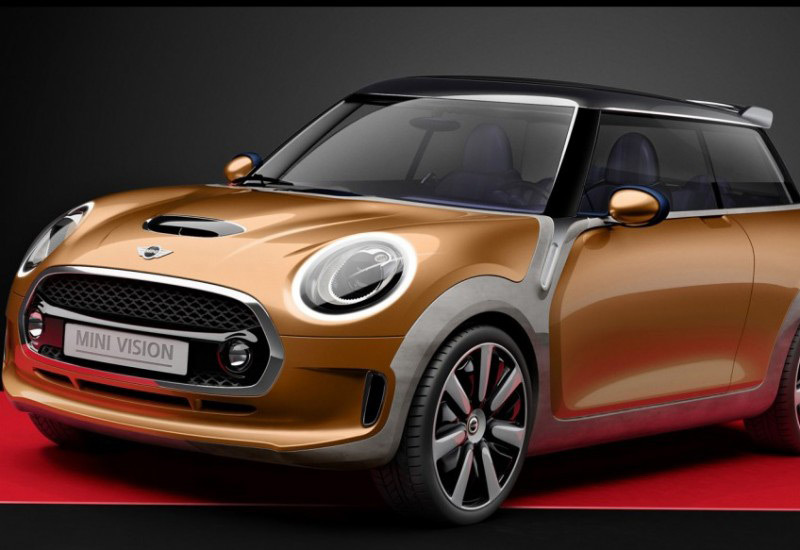 So far it is known that the new Mini will be made in various versions like, Cooper S hatchback version, convertible, 5-door hatchback and 4-door sedan, whose appearance reportedly expected in 2016. For the transmission is currently mentioned six-speed manual and eight-speed automatic as an option. A novelty is the UKL1 platform, as well as BMW’s petrol and turbo-diesel three-cylinder engines, and also is discusses about the hybrid drive and four-wheel. The new Mini will be longer than the current model, it will have a longer wheelbase and long front overhang, and will offer spacious interiors with quality materials and improved handling.